Mobile devices allow the public to interact with government in new and game-changing ways and users expect those interactions. As a result, many agencies are taking advantage of native apps for crowdsourcing projects. The White House Open Government Initiative recently defined crowdsourcing “as a process in which individuals or organizations submit an open call for voluntary contributions from a large group of unknown individuals (“the crowd”)…” In addition, they highlighted some native applications like the Federal Communications Commission Speed Test App and National Oceanic and Atmospheric Administration’s mPing as good practices in mobile crowdsourcing. As part of our Crowdsourcing theme this month on DigitalGov, the MobileGov Community of Practice reviewed USA.gov’s Federal Mobile Apps Directory for other examples of agencies using mobile for crowdsourcing. 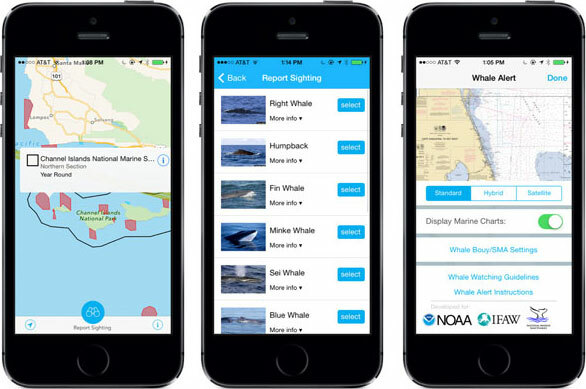 NOAA’s Office of National Marine Sanctuaries Dolphin & Whale 911 App allows users on both U.S. coasts to submit reports of whale sightings in real-time that could ultimately alert boaters and vessel captains to slow down and avoid colliding with these majestic creatures. NOAA Fisheries Release Mako App allows fishermen to post GPS tagged photos on the Shortfin Mako Shark Live Release Interactive Web Map. NOAA’s National GeoPhysical Data Center released the CrowdMag App in which users can enable background recording with their phone’s digital magnetometer so NOAA can anonymously collect magnetic field data to help keep track of Earth’s ever-changing magnetic fields. Four other agencies are leveraging mobile for crowdsourcing across a number of efforts like ranking photos and helping with disaster response. The Department of Energy’s Lantern Live crowdsources the ability to find fuel during an emergency through user-generated status reports from local gas stations. The Federal Emergency Management Administration’s FEMA App, has a Disaster Reporter feature that allows citizens, first responders, emergency managers, community response & recovery teams, and others to view and contribute information on a publicly accessible map as a way to assist recovery and relief operations. The Transportation Security Administration’s MY TSA app gives passengers the ability to post their checkpoint wait time and see the passenger-posted wait times at other U.S. airports. This real-time information can help passengers plan to arrive at the airport on time. The National Aeronautics and Space Administration’s (NASA) Hubblesite App, is the anytime, anywhere home of NASA’s Hubble Space Telescope that allows users to rank photos taken by the telescope. 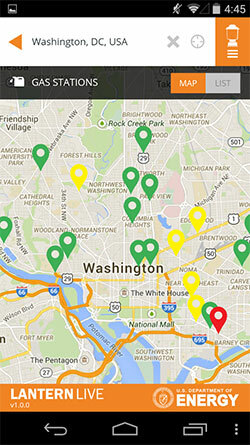 Do you know of other apps from the government that crowdsource information from the public? Let us know in the comments below!